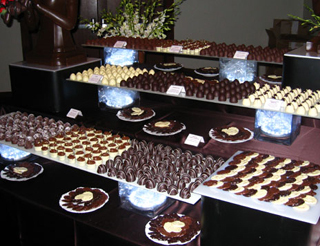 Large, medium and small size companies are choosing Simone Marie Belgian Chocolate for a gourmet chocolate tray, an exquisite dessert table or a stunning chocolate buffet to finish a corporate function in “grand” style. 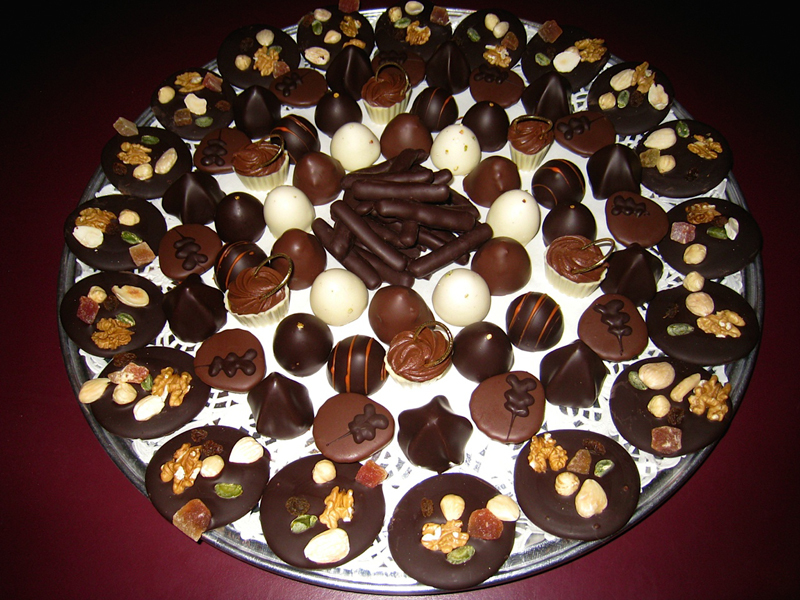 To add a final gourmet touch to any event, small or large, call Simone Marie today at: 416-968-7777. 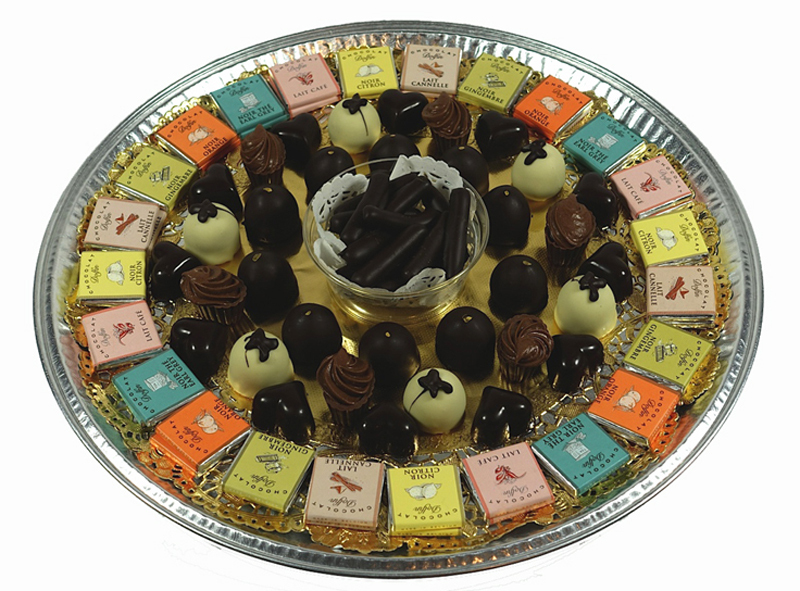 Our beautiful gourmet trays are always custom prepared based on your taste and your budget! 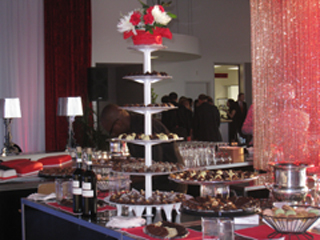 View of a large chocolate buffet and a medium-size buffet with a chocolate tower! Each piece of our large assortment is produced the old fashioned way from only pure Belgian chocolate (100% cocoa butter) and natural ingredients without any artificial flavouring added. For a more personalized look, let us add your corporate logo! Please contact us at 416-968-7777 to discuss your company’s requirements in detail.